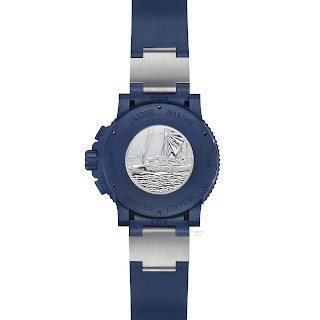 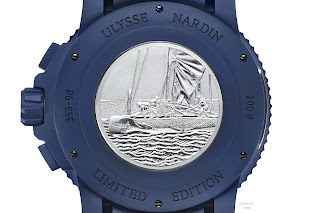 Ulysse Nardin continues its partnership with America’s Cup team, ARTEMIS Racing. Paying tribute to the seafaring skills of the Artemis Racing team, UN have released a Special Edition watch – the Diver Chronograph Artemis Racing, created in a Limited Edition of just 250 pieces. 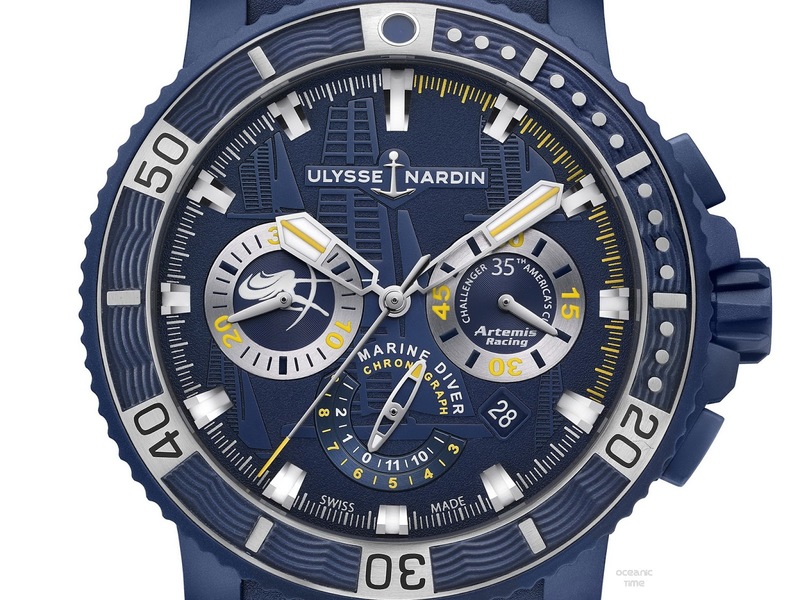 With its sporty Artemis Racing-inspired styling which has been coupled with the reliable precision of the UN Diver collection, this is going to be the perfect watch for any marine-lover. 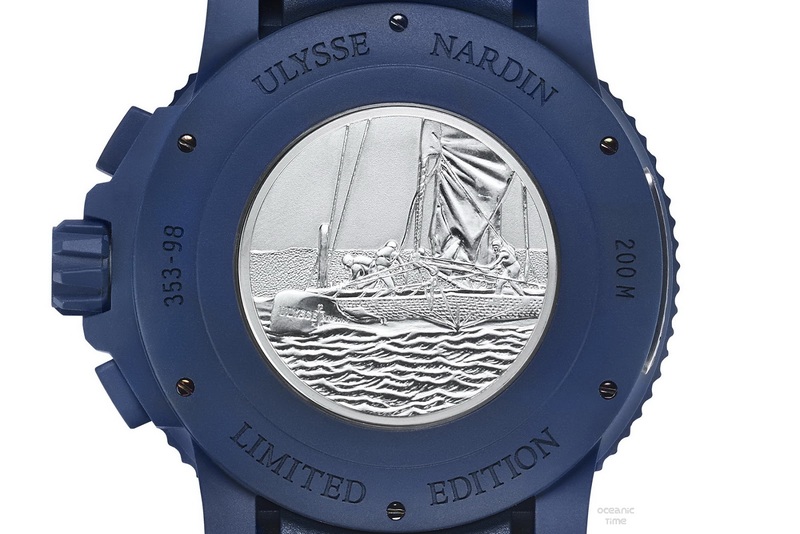 Above the waves – its ultramarine coloring reveals its aquatic DNA, as does the distinctive wave pattern on two sides of the bezel, and its dial, which has been decorated with fine engravings of the celebrated Artemis Racing catamaran in action. Below the waves – its rubberized screwdown crown, designed for added water-resistance reveals its diving pedigree, as does its unidirectional bezel – that helps divers keep a grip on their dive-time underwater while preventing any accidental movements in the wrong direction. The Diver Chronograph Artemis Racing will take you safely down to 200 meters while its luminescent Superluminova markers on the dial will help to improve dial visibility whilst you’re down there. 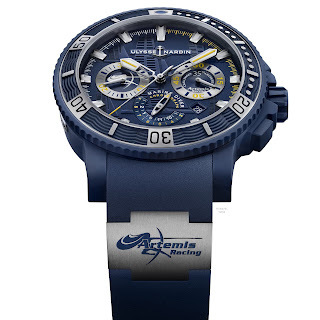 The Diver Artemis Racing dive watch is also a high-performance chronograph: the chronograph counters appear at 6 o’clock and at 9 o’clock, with the permanent seconds at 3 o’clock and an angled date window between 4 and 5 o’clock. 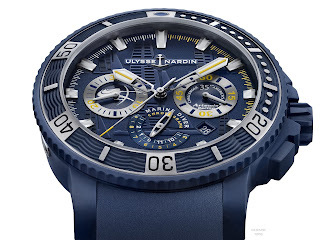 A bold flash of yellow on the counters, markers and minute and hour hands further help with legibility as well as providing a sporty contrast to the Diver Artemis Racing’ deep blue tones. 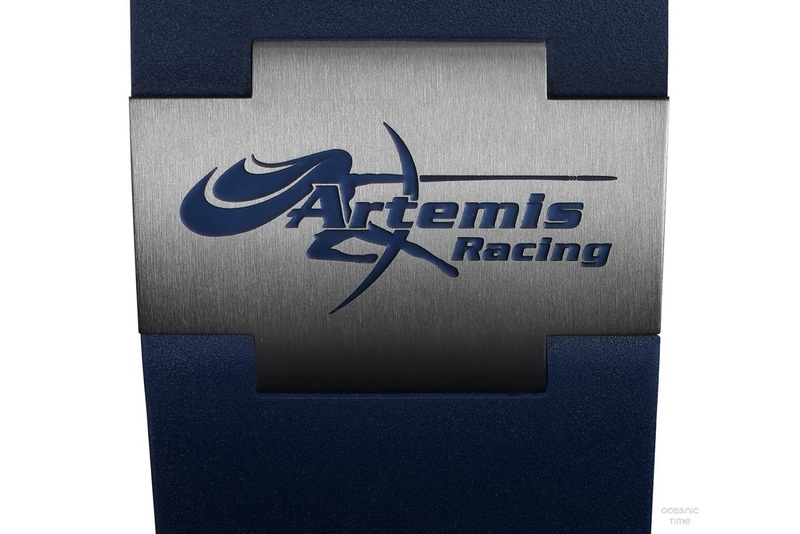 Rubberized pushers allow for a better grip when a start or stop function is necessary. 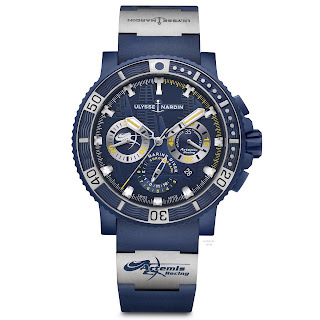 Like every UN dive watch, the Diver Chronograph Artemis Racing is constructed from the most advanced materials available, enhancing its ability to withstand the most demanding environments. Its 45.8 mm diameter case is made from Stainless steel coated with rubber and finished with a medallion on the case-back illustrating the Artemis Racing catamaran while its rubber divers strap with it Artemis signed Stainless steel elements gives plenty of comfort and flexibility.